The St. Louis Cardinals system went 7-2 on Thursday. Our Player of Day, outfielder Joerlin De Los Santos, sparked the DSL Cards Red to a doubleheader sweep. Top pitching performances came from Austin Warner, Casey Meisner, Jesus Cruz, Jacob Patterson, Johan Oviedo, Perry DellaValle and Wilman Madera. Recaps of games played on Thursday, August 9. A run in the top of the ninth snapped a 1-1 tie, and the Redbirds defeated Oklahoma City in a battle of first-place teams on Thursday night. Redbirds shortstop Edmundo Sosa tied the game in the fifth with a home run, his third with Memphis. With two on and one out in the ninth, third baseman Patrick Wisdom doubled in first baseman Rangel Ravelo, which ultimately served as the game-winning run for Memphis. Memphis starting pitcher Austin Warner held the Dodgers to one run in his 5 2/3 innings of work. Giovanny Gallegos recorded the final out of the sixth inning before Brett Cecil, Dominic Leone, and Andrew Morales each tossed a scoreless inning to wrap up the evening. Rehabber Leone picked up his first win, and Morales collected his fifth save. Friday’s game: Connor Jones (0-0, 4.05) at Oklahoma City Dodgers, 7:05 PM Central time. A stellar outing on the bump by Casey Meisner was at the root of Springfield’s 4-3 win over the Missions on Thursday. Starter Meisner dazzled across seven frames of two-run ball. Meisner struck out six batters, walked two, and evened his record at 1-1 with the victory – his first with Springfield. Reliever Seth Elledge pitched the eighth and ninth innings and notched his second save. Meisner went 2-for-3 at the plate, and first baseman John Nogowski and right fielder Blake Drake each had two hits as well. Nogowski, Drake, left fielder Johan Mieses, and catcher Chris Chinea each batted in a run, and Nogowski, Drake, Mieses, and shortstop Jose Martinez each scored. All four of the Cardinals’ runs were scored with two outs, and the team was 4-for-6 with runners in scoring position. Friday’s game: Evan Kruczynski (1-1, 0.64) at Corpus Christi Hooks, 7:05 PM Central time. With plenty of timely hitting to pair with quality work on the mound from Jesus Cruz and Jacob Patterson, the Cardinals defeated the Tigers by a 7-2 score. Palm Beach went 4-for-13 with runners in scoring position. Shortstop Kramer Robertson, second baseman Stefan Trosclair, and designated hitter Ryan McCarvel all had three hits, and Robertson led the way by scoring three runs and stealing two bases. Catcher Brian O’Keefe was in on the action, too, with two doubles and two runs batted in. Cardinals starter Cruz improved his record to 4-0 with a quality start. The right-hander tossed six innings and limited the Tigers to two runs with nine strikeouts. Out of the bullpen, Patterson deserves recognition for his appearance as he worked three scoreless innings and collected his third save. Friday’s game: TBA vs. Lakeland Flying Tigers, 5:30 PM Central time. Powered by a three-run sixth and very solid pitching led by Johan Oviedo, the Chiefs enjoyed a 4-1 win in Kane County over the Cougars. First baseman Zack Kirtley, third baseman Yariel Gonzalez, designated hitter Luken Baker, and center fielder J.R. Davis each scored a run for the Chiefs. Gonzalez and Davis both had two hits, and Davis had an outfield assist. Peoria went just 2-for-10 with runners in scoring position, but that was better than Kane County’s 0-for-10 mark. On the mound, Chiefs starter Johan Oviedo pitched 5 2/3 scoreless innings and improved to 9-7 with the win. Kodi Whitley worked 1 1/3 innings, and Frederis Blanco and C.J. Saylor each logged an inning. Whitley got his third hold, and Saylor earned his second save. 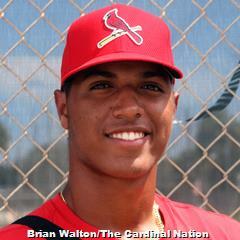 Friday’s game: Angel Rondon (3-0, 2.51) at Kane County Cougars, 6:30 PM Central time. The Spikes came out on top of Thursday’s 8-7 home game against the Black Bears. State College designated hitter Stanley Espinal was 4-for-5 at the plate with two runs scored. 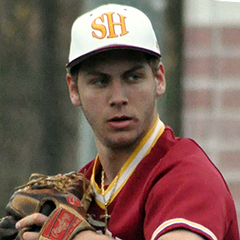 Second baseman Nick Dunn had three hits, and left fielder Lars Nootbaar had two. Shortstop Delvin Perez and center fielder Wadye Ynfante drove in two runs apiece on a night that the Spikes went 5-for-17 with runners in scoring position. In five innings, starter Chris Holba held West Virginia to one run (a solo homer in the second) and tossed only 60 pitches. 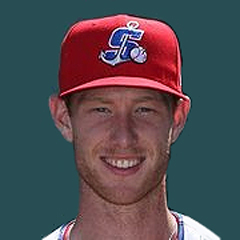 Eli Kraus logged a scoreless sixth before Will Changarotty surrendered four runs in the seventh inning without recording an out. Winston Nicacio came in and fired two innings of zeroes, and earned a much-deserved win. Cory Malcom got in trouble in the ninth and allowed two runs, but Kevin Hamann secured the final two outs to notch his seventh save. Friday’s game: Jacob Schlesener (2-3, 3.41) vs. West Virginia Black Bears, 6:05 PM Central time. The Rays scored 10 unanswered runs to erase the Cardinals’ early lead and cruise to a 10-2 win in Johnson City. 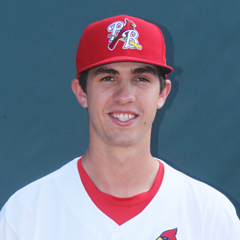 Cardinals starter Cole Aker lasted 4 1/3 innings and surrendered six runs (five earned) on eight hits. Aker whiffed seven batters, tying his career-high for most strikeouts in an outing. In relief of Aker, who is now 1-1 on the season, Jacob Sylvester and Oneiver Diaz allowed two runs apiece before Junior Gonzalez turned in a scoreless ninth. Nonetheless, Johnson City’s bats couldn’t overcome Princeton’s rally. Center fielder Jonatan Machado and left fielder Leandro Cedeno each had two hits – one single and one double – for the Cardinals. 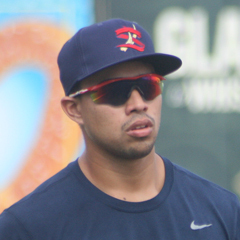 Cedeno and center fielder Brandon Riley scored the team’s only runs. Cedeno and designated hitter Andrew Warner were the only players in Johnson City’s starting lineup to not strike out. The team combined to whiff 11 times and strand eight runners on base. Friday’s game: TBA vs. Princeton Rays, 6:00 PM Central time. The Marlins scored seven runs against the Cardinals’ bullpen in the back half of the game for an 8-4 win. 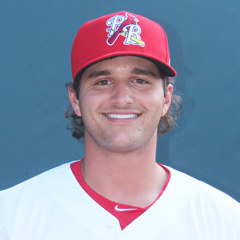 Cardinals starter Perry DellaValle turned in five innings of one-run ball. Along the way, DellaValle fanned 10 batters and walked none. The troubles began with relievers Francisco Justo and Jose Geronimo, who combined to allow seven runs across the sixth and seventh innings. Rodard Avelino and Wilberto Rivera each logged a scoreless frame after, but the damage had been done. At the plate, Cardinals first baseman Zack Gahagan and second baseman Kevin Vargas were both 2-for-3. Gahagan drove in one, and Vargas scored once. Center fielder Carlos Soler came home twice, and he and Vargas both doubled to account for the Cardinals’ only extra-base hits. Friday’s game: at GCL Nationals, 11:00 AM Central time. With four runs in the third inning and two more in the fourth, the Cardinals Red defeated the Cubs2 by a 6-3 score in a game continued from 7/23. The Cardinals drew 11 walks and did not tally an extra-base hit. Player of the Day and left fielder Joerlin De Los Santos, shortstop Franklin Soto, and third baseman Francisco Hernandez each had two walks. Soto and Hernandez drove in a run apiece, and De Los Santos scored twice. Allinson Benitez pitched two innings as the Cardinals’ starter. As play resumed, Wilman Madera came up big with five innings of one-run (it was unearned) ball, and he earned his second win of the season. Augusto Calderon worked the eighth, and Dionys Rodriguez fired a clean ninth for his second save. In Thursday’s regularly-scheduled game, the Cardinals Red doubled up the Cubs2 by a 12-6 final score. The Cardinals scored four runs in the first inning, two in the second, two in the third, and four in the seventh. Center fielder Joerlin De Los Santos and first baseman Cristhian Longa each went 4-for-5 with two runs batted in and two runs scored. 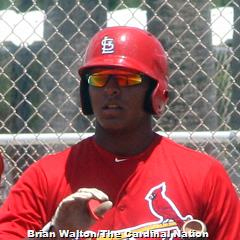 De Los Santos, our Player of the Day, doubled and tripled and is up to 13 and five, respectively, in those categories. Red starting pitcher Ludwin Jimenez allowed five runs in as many innings but still evened his record at 3-3 with a victory. Reliever Gabriel Contreras yielded a run in the sixth, and Sebastian Tabata tossed a scoreless seventh. Friday’s game: at DSL Phillies White, 9:30 AM Central time. The DSL Cardinals Blue were off Thursday and will continue play against the DSL Phillies Red at home on Friday at 9:30 AM Central time.